Moving your business from its comfort zone is indeed a huge risk. In fact, there are a lot of factors that you need to take into consideration when you think about business relocation. One of the most important factors that you need to ask yourself is that how can you make it work to your advantage. Well, yes! You need to carefully weigh-in all the possibilities and drawbacks you might face in the long run. And you know exactly that moving could be a bit of a challenge. It requires a lot of planning, organising, and proper management in order to succeed. Well, we want to help you out. We have listed all the possible pros and cons of business relocation. This might help you weigh-in your decision whether moving could be a great idea for its growth. Technically, there are heaps of benefits that you may get from the relocation of your business. Well, the first thing is your workers get to change the scenery and you’re probably moving to a better office that automatically improves the quality of time you could spend there. Such a move could result in a significant rise in the productivity and growth of your trade. Here are some of the other pros. If your company is growing fast, it could be challenging to manage and organise a clean production process. Furthermore, a crowded space may lower the productivity of your function. So, the best way to deal with this kind of issue is to move. After all, moving is less expensive than office expansion. The relocation of your business to a better place improves both the life and the quality of work of your employees. You would then be surprised at the result you could get with your office move. Considering that you have seen a business opportunity and you know to yourself that your trade would fit well in a new environment, then relocating your venture is just the thing you need to do. Moving to a new place where your sales can be growing a big time means that you could expand your earnings and promote your brand to prospective customers. It also gives you the advantage of hiring experienced professionals that know their way around. Well, this is one of the most common reasons why some businesses choose to relocate. If your company is struggling with your operating cost, then moving your company business could be a smart choice to do. However, if you’re picking the cheapest place you could find to be your base of operation, then it might turn out to be counterproductive. So, better plan ahead to make sure that you get the best deal of your move. Aside from the benefits, you could get, there are also possible downsize of the business move. Well, technically it could cause delays, breaks deadline, and requires ample time to adapt. It could also be mentally challenging and could be quite a problem if you have to ask your workforce and their families to move with you. Anyway, here are some of the possible cons that you might encounter in doing a move. Well, one of the biggest downsides is the downtime that the business relocation could cause. Yes, this is not an easy task. So, you need to consider very well if the money you invest in this move pays out. And as a matter of fact, this is well known for all trades out there that was losing viable months in the year and worst case loses the business. 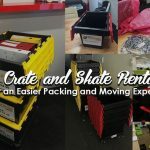 So, better plan and organise your office removal for a smooth move. There are a lot of things to be done when relocating. And this includes the packing, storing, and transporting the entire stuff and products in preparation for the new space. At some point, you may need to look into a self storage solution for all your work stuff. However, even with such a solution, you also have to think about the cost of renovating and setting up your new office. Adapting to a new place is also a very tricky thing to consider. Preparing everything to match your business will take a lot of time. In fact, you still need to test the production process to see if there are possible problems that could occur. Just so you know, relocation could be a tricky and challenging task. But sometimes it is more than necessary especially if you want your trade to grow. Likewise, it could possibly give your trade that one crucial nudge that could bring it to its maximum potential. And even if it’s challenging, it is not possible to achieve if you have properly weighed-in the pros and cons that it may serve to your advantage. 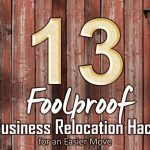 Ready to relocate your business? Well, Business Relocation Services could help you out. We aim to provide the best move and removal services for our valued customer. Call us today for more details and our team of professionals will be happy to help and guide you through. Also, protect your enterprise from the dormant threat of relocation clauses in your lease especially if you just relocated. Make sure that their kind of provisions will not be a problem in the future. Read our article: Quick FYI Regarding Relocation Clauses by Relocation Experts.